Mary's Scottish parents moved to Australia before Mary was born. She received a competent education at her father's insistence even though they were unable truly to afford it. Instead, her father and mother scrimped and saved to provide education for their eldest daughter because of their conviction that education was the basis for betterment and growth in the world. Mary was a good student and did not take this gift for granted. 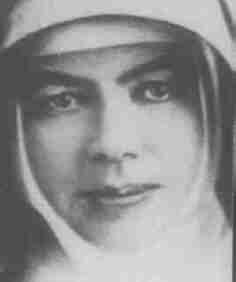 At the age of 16, while working as a governess for a wealthy family, she decided to become a nun. While working with J.T. Woods, a local priest and friend, she developed a passion for providing education for the poor and outcast.Eventually, she would start a school under Woods' direction with her two sisters.